AMICO strives to provide a work environment that fosters ongoing learning and continuous improvement, and is geared towards developing the career path of each of its members. Four years ago, AMICO paved the way for 20 of its middle to upper managers to partake in a Mini-MBA course, an additionally enrolled 15 other members of management in a Certified Product Manager course. Each course was taught over a 10-day period and was supervised by Missouri State University and delivered by MERL. Over the last three years, several AMICO Managers enrolled in a comprehensive EBS MBA program, which is short for the Edinburgh Business School Master in Business Administration. The EBS MBA has a success rate of approximately 50%, and to complete program, the managers who were enrolled had to pass seven core courses and two electives. The core courses included Marketing, Accounting, Economics, Finance, Strategic Planning, Organizational Behavior and Project Management. The program was heavily reinforced by both Mr. Mihran Hazarian and Mr. Ahmed El Maghraby, who successfully completed an EMBA, himself. 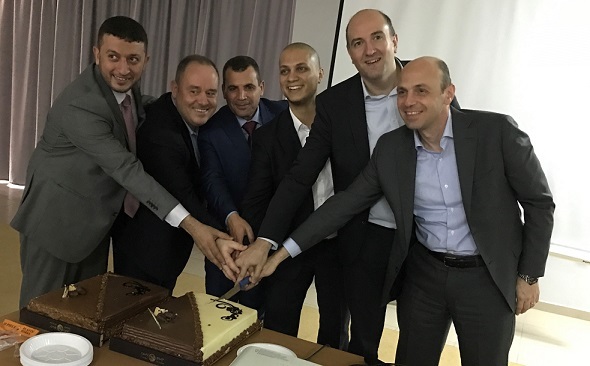 The participants were groomed and mentored by Haithem Fekry and Tamer Khalil who both received their MBAs from EBS in the past. AMICO has supported such academic pursuits of the most challenging caliber by seeking out the service of professional tutors. Of those enlisted, three Managers graduated and completed their MBAs, and an additional three earned Diplomas by passing six of the program’s courses. Those who earned diplomas are still on track towards completing their MBAs by pursuing a passing grade in the remaining two courses. The majority of the AMICO managers who enrolled in the program were granted certificate in Business Administration by successfully completing three major courses. Iyad Tanbe, Tamim Ibrahimsha and Walid Abdelaal upon completion of their MBA degrees. Ahmed Al Zein, Emad Al Zari, and Mohammed Emara upon completion of their Diplomas in Business Administration. Since AMICO implemented the MBA program, the return has materialized with career advancement opportunities amongst those who partook. AMICO has great expectations from its team of managers who occupy key positions as they lead teams and drive business objectives, and will carry on to nurture academic development and continuous improvement. In the same context, the ‘AMICO Extra Mile Award’ was given to Talaat El Deeb for championing the implementation of the CRM program. AMICO is committed to further developing the program by enrolling new participants. During the year 2017, AMICO will include additional educational programs across various domains. Congratulations once again and we look forward to celebrating the next graduating class! AMICO was part of the Middle East Africa Council of Ophthalmology (MEACO) from 4 - 8 May 2016 at the Bahrain International Exhibition & Convention Centre. The MEACO Congress is the largest ophthalmic meeting in the Middle East and Africa regions that attracts ophthalmologists, eye care professionals, and exhibiting companies from the region, as well as from Europe, America, Asia and Australia. The MEACO Scientific Program Committee put together a state-of-the-art program that made MEACO 2016 Congress a memorable educational as well as social experience for everyone. *Sciton - "EMEA Distinguished Distributor"
*Cynosure Distributor Awards - "Highest Volume Sales – Multi Country"
*Vision-X / Vision Plus Awards - Silhouette Titan One: "Best New Spectacle Frame (Premium Segment)"
During Arab Health, Eng. 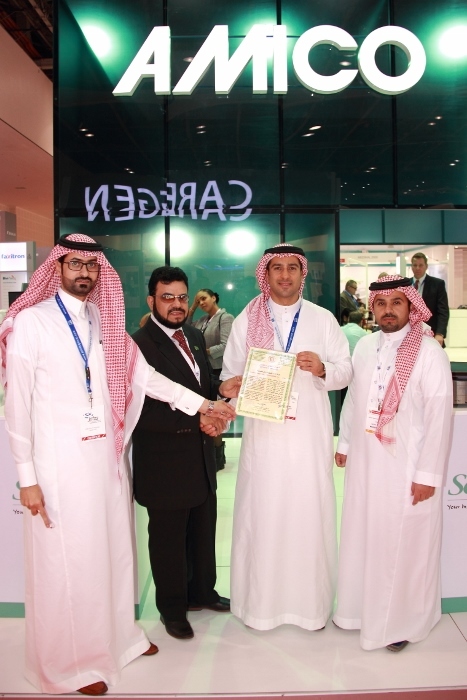 Saeed Kholban from the Administration of Armed Forces Hospitals presented a certificate of appreciation to Mr. Ahmed El-Maghraby, Amico’s Managing Director in Saudi Arabia and Bahrain. This is in recognition of the support and contribution provided by Amico to the Armed Forces Hospitals in the Southern Region of Saudi Arabia during the last period of Determination Storm in 2015. 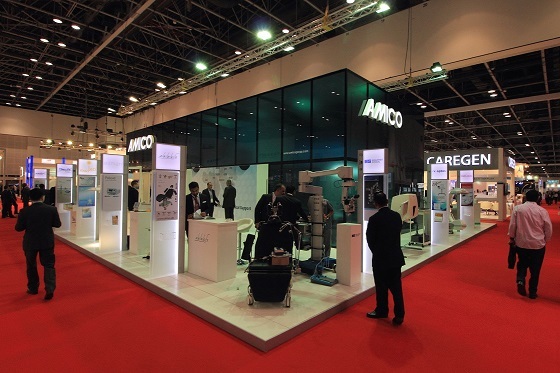 AMICO participated for the 18th consecutive year in the Arab Health Exhibition and Congress, which took place during 25-28 January 2016 at the Dubai International Convention & Exhibition Centre in the United Arab Emirates. 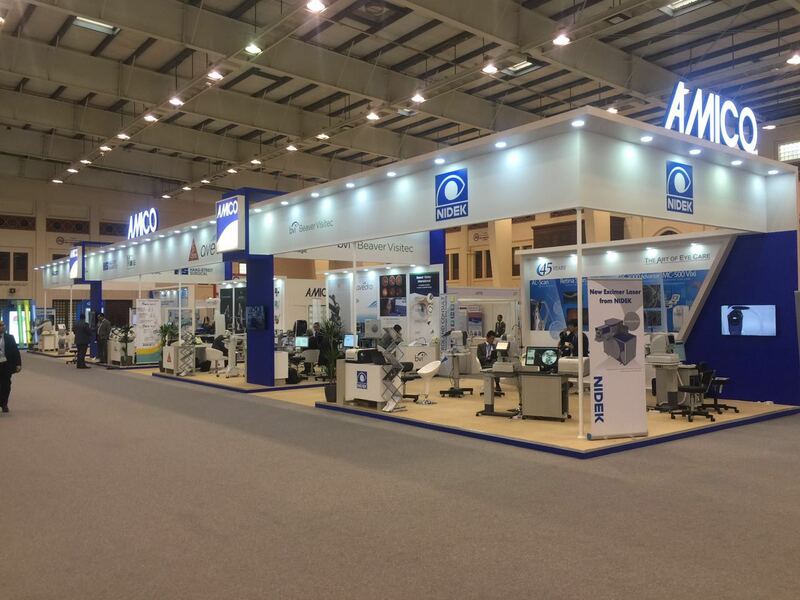 During Arab Health 2016, AMICO took the opportunity to showcase the latest medical devices relevant to different specializations. The Arab Health Exhibition and Congress is the largest healthcare showcase in the Middle East. This exhibition and congress provides a unique opportunity to gather leaders, suppliers and distributors in the healthcare industry as well as the medical and scientific community in the Middle East and more. 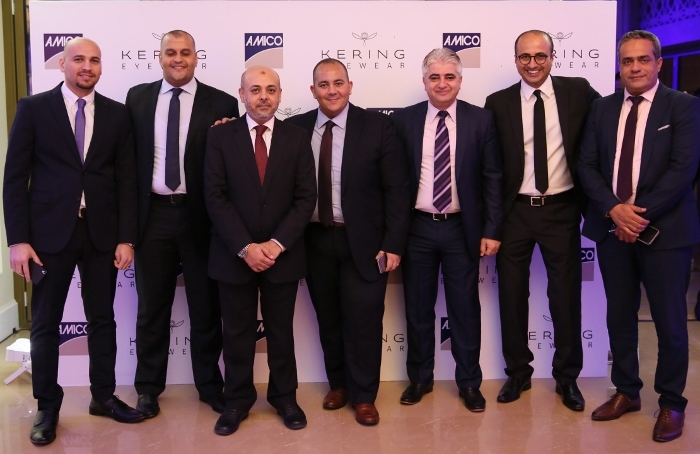 Amico Group and Kering Eyewear have signed an exclusive distribution agreement for optical frames and sunglasses across the GCC, Egypt and Jordan. The various brands falling under the agreement include Bottega Veneta, Boucheron, Brioni, Christopher Kane, Tomas Maier, Pomellato, Saint Laurent, Alexander McQueen, Stella McCartney, McQ, Puma, and in 2017, Gucci will be added to the portfolio. The optical field has been one of the core foundations for Amico’s success since its inception, wherein the company specializes in all fields of supplies to optical retailers offering a wide variety of comprehensive optical solutions ranging from contact lenses and luxury eyewear to luxury sport and performance sport eyewear as well as optical equipment, edging systems, and other eye care devices designed for opticians, optometrists and eye care professionals. Commenting on this new partnership, Mihran Hazarian, CEO of Amico Group says: “We are extremely pleased about our agreement with Kering Eyewear - one of the few top players in the eyewear industry and look forward to building a strategic partnership with the giant fashion house”. 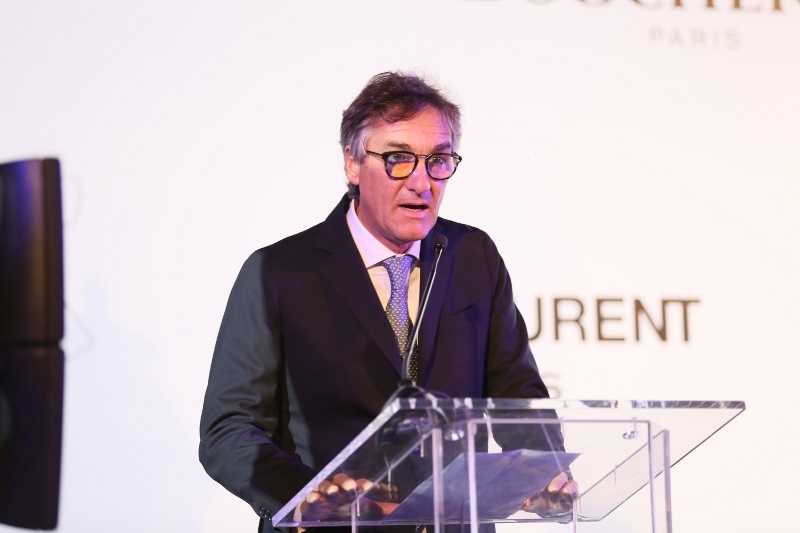 Carlo Breda, Kering Eyewear’s Head of EMEA Distributors, adds: “Kering Eyewear is very proud to partner with Amico Group in the region, the knowledge and heritage of which will most definitely nurture Kering’s brands in such a key market”. A private launch event in Dubai has featured the signature spectacle frames and sunglasses of Kering Eyewear’s brands and has marked the debut of this new partnership. The event gathered top optical retailers from the region. Kering Eyewear is part of the Kering Group, a world leader in apparel and accessories which develops an ensemble of powerful Luxury and Sport & Lifestyle brands such as Bottega Veneta, Saint Laurent, Alexander McQueen, McQ, Stella McCartney, Boucheron and Puma. After assessing the growth prospects of the Eyewear market and the business potential of its brands in this category, Kering has initiated a strategic move aiming at building in-house eyewear expertise for its Luxury and Sport & Lifestyle brands. The goal of Kering Eyewear is to integrate one of the fastest growing categories within accessories in order to better support the expansion of the Group’s brands in the Eyewear sector, helping them to exploit their full potential. The Eyewear Collections are now designed and developed in-house and in collaboration with the creative teams of the Kering brands, and with the same attention to craftsmanship and detail as in all other product categories. Are you looking for a career that offers both professional growth and personal fulfillment? Want to be part of a company that believes in challenging its people and in caring for them at the same time? You have come to the right place. We look for intelligent, well-rounded individuals who possess strong problem solving skills, a history of leadership and teaming, a track record of success and above all, the passion to make a difference in everything they do. You may find the current available positions within Amico Group on our Careers page and apply accordingly.